You've just found the most unique alternative to traditional advertising currently available for Long Island businesses. Our scrolling, mobile billboards and 3D displays using the most unique vehicles on the road, grab attention and push our client's message in the most effective and cost efficient manner possible today. Drive your business like never before! Call for a quote and get your business on the truck today! Daily Routes through Suffolk County NY. - Target thousands of consumers every day! Evening Routes - Your Ad seen like never before...Beautifully backlit as it rolls past consumers in the evening, grabbing attention like nothing else on the road. 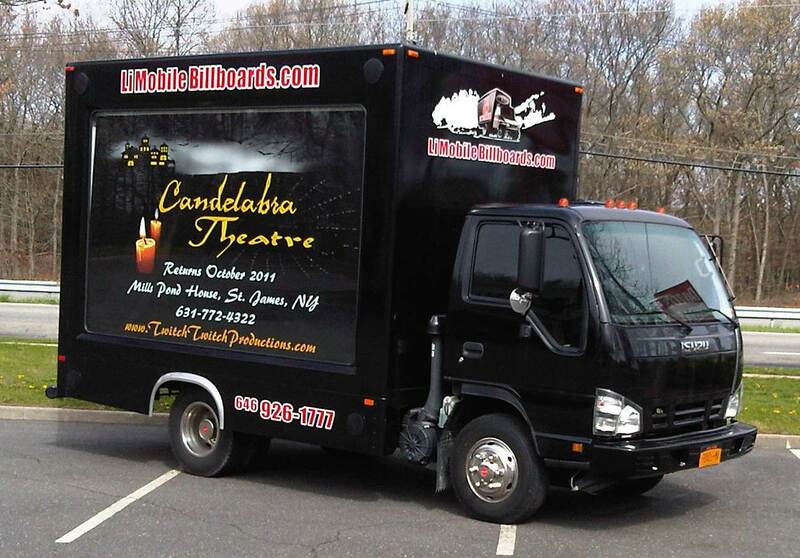 Weekend, Custom, Events and Targeted Truck Placement - Put your mobile billboard to work exactly where and when you need it! Book our vehicles for your specific needs. All of that PLUS the ability to play your audio commercials through the outdoor sound system on our mobile Ad trucks. No other form of Advertising is this powerful or economical. 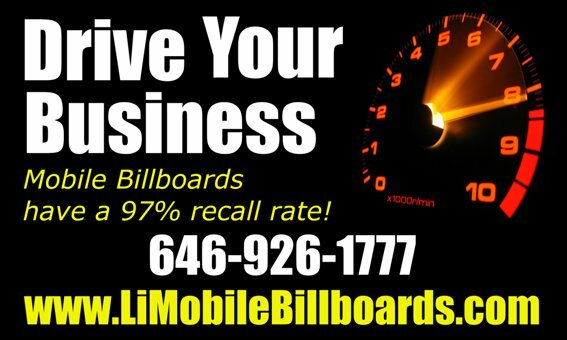 Get started, drive your business today with a Long Island Mobile Billboards campaign.